Vashu Bhagnani. “It is very important for an actor to do challenging roles in order to grow. 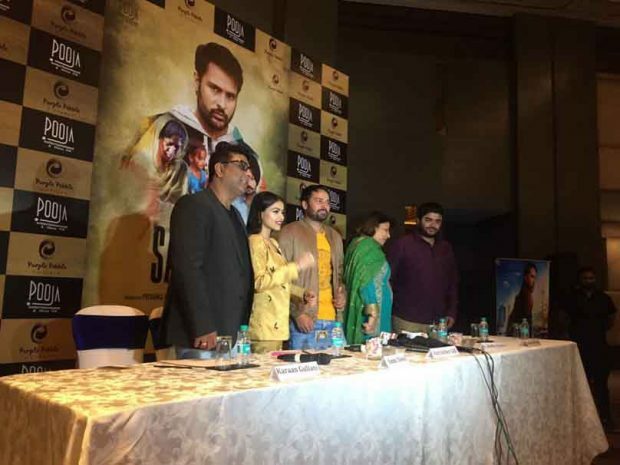 My character in Sarvann will give my fans a chance to see me in a new avataar and I hope they like and love me as they always have,” said Amrinder Gill as he was joined by other stars in the film including Ranjit Bawa and Simi Chahal during the promotions. Priyanka Chopra and Vashu Bhagnani’s debut Punjabi production “Sarvann” has created a lot of buzz since the day of its announcement. Producer Dr Madhu Chopra added, “Purple Pebble Pictures is proud to produce a superb Punjabi film Sarvann to be released on 13th Jan 17. We take great pride in giving regional cinema the high pedestal it deserves”. lovely and melodious music has been done by maestro Jatinder Shah.